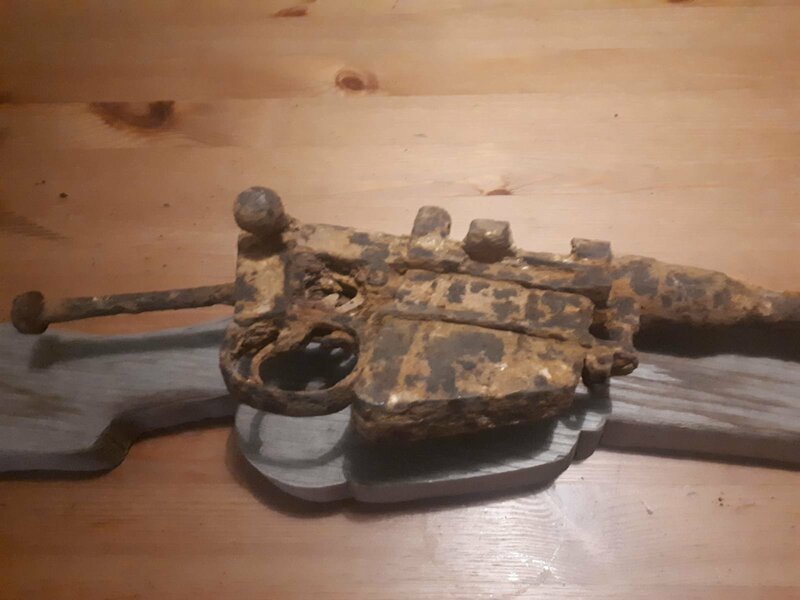 Relic SMLE with Wire Cutters. 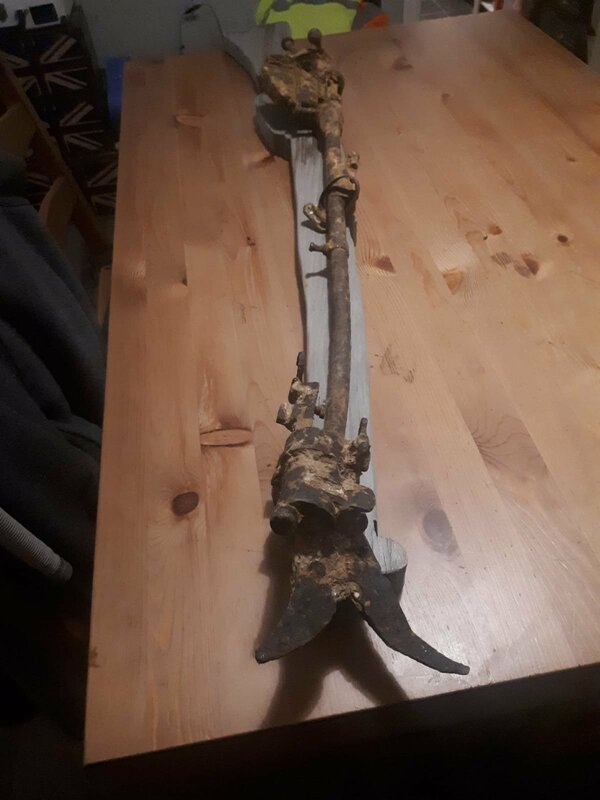 I was recently given this relic Lee Enfield apparently found on the Somme some years ago. The previous owner had various items including this taken, safety checked and given back to him so it is safe. I was wondering what would be the best way to clean it up a little bit? Just to generally make it look a little better and to preserve the condition so it doesn't get any worse. Thanks. Ryan. I cleaned these with petrol, brushof off the dirt and then varnished them. Right or wrong that what was done. They have not deteriorated since. Thanks mate. They look great! It doesn’t need any further work in terms of preventing deterioration if you keep it somewhere reasonably warm and dry. If you want to remove the rust, there are various methods such as electrolysis, citric acid and molasses - just search previous threads for ‘rust removal’. PS. How was it verified that there isn’t a round in the breech if the barrel is bent? PPS. Fantastic relic with those wire cutters BTW. ;-) Looks like a pre-1916 MkIII with the magazine cut-off. 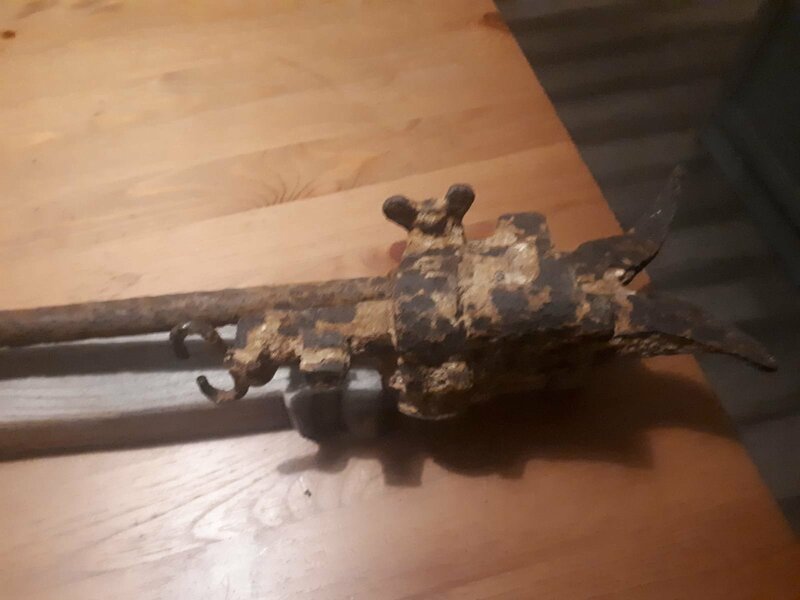 I have twice turned up relic-condition rifles like this simply because I wondered HOW do you determine if there are live rounds in the magazine or the breech! Please do say! And yes, a simply fascinating relic!